Our $9,999 budget Coyote has been going through the ringer at Westech Performance. Fresh off the final LS3 Vs Coyote shootout video and article series, we pushed on with further testing. One of the biggest questions on our testing was, “Why didn’t you run a Cobra Jet manifold?” Looking back after the fact, we should have probably made the budget for it work, but regardless, here’s how Ford Performance’s full slate of intake manifolds panned out on our street Coyote build. Ford Performance is in a unique situation as an OE performance counterpart, they produce all the most commonly used intake manifolds on the market. This is not something we’ve ever seen on the Mustang since the full conversion to composite manifolds has taken place. When you’re going to dyno an engine, you’ve got to make the most out of the testing! The factory GT manifold has been the best manifold on the market for preserving the best low end torque. The long runner configuration made this manifold great by harnessing the maximum amount of low-end grunt. 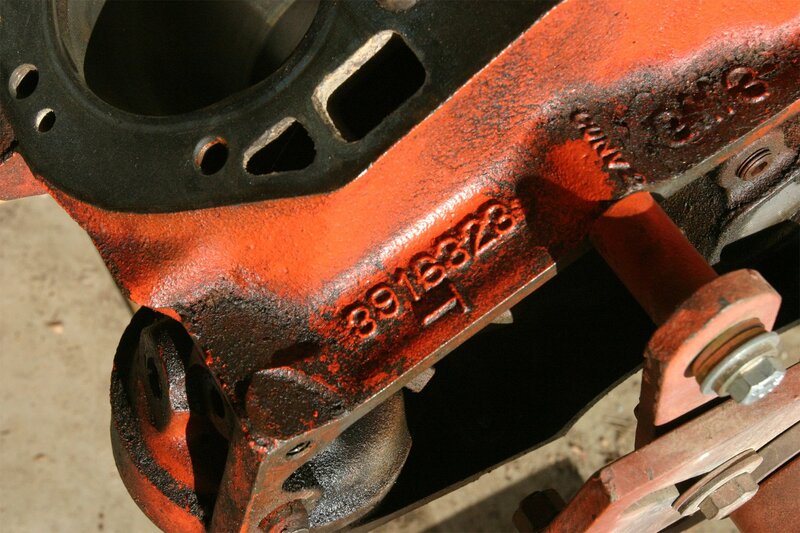 The BOSS 302 manifold was the first aftermarket piece available on the market and came standard on all BOSS 302 Mustangs. The shorter runners allowed Coyote lovers to adjust their powerband up another 400-500 rpm. The low end torque sacrifice was a given, but was hardly noticed once the vehicle is out of first gear. The BOSS 302 and Cobra Jet manifolds are very similar. Removing the strut tower brace clearance and enlarging the throttle body opening is where the magic happens. Ford Performance experimented with a BOSS-like recess for the strut tower brace on the Cobra Jet manifold but it hurt the power too much to keep it. The Cobra Jet intake takes any 11-14 GT500 throttle body and the intake manifold comes with an adapter plug to make the changeover simple. We ran the Ford Performance single blade Cobra Jet throttle body which is designed for maximum power. The dual bore version is best suited for street cars to increase the available partial throttle tuning window. The newest manifold to the OEM manifold market comes from the GT350. Ford revisited the Intake Manifold Runner Control (IMRC), also called Charge Motion Control Plates, feature that manipulates the intake’s runner velocity. If you could build a manifold that took the best of a short and long runner design, this is basically what Ford was trying to accomplish. There’s a lot going on with the GT350 intake. A variety of vacuum lines and valves control the opening of the charge motion control plates, which aren’t able to be controlled on a 2011-14 computer. 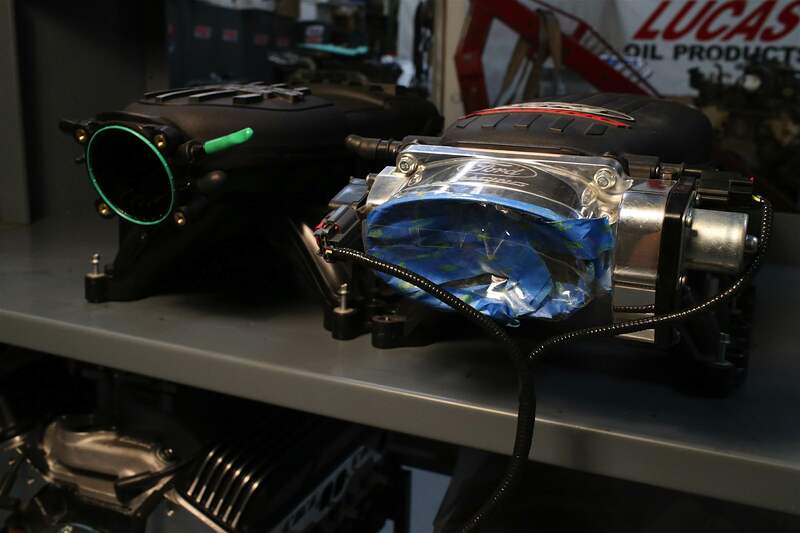 We also adapted an 2011-14 throttle body with a simple plexiglass adapter plate. The key to the GT350 design is that the control plates are virtually recessed in the runner while in the resting position and doesn’t act like a mini throttle body when compared to Ford’s older IMRC design. A similar design comes standard on the 2015+ Mustang GT and helps produce an additional 2+ mpg, 20 lb-ft of low end torque, and better idling characteristics. 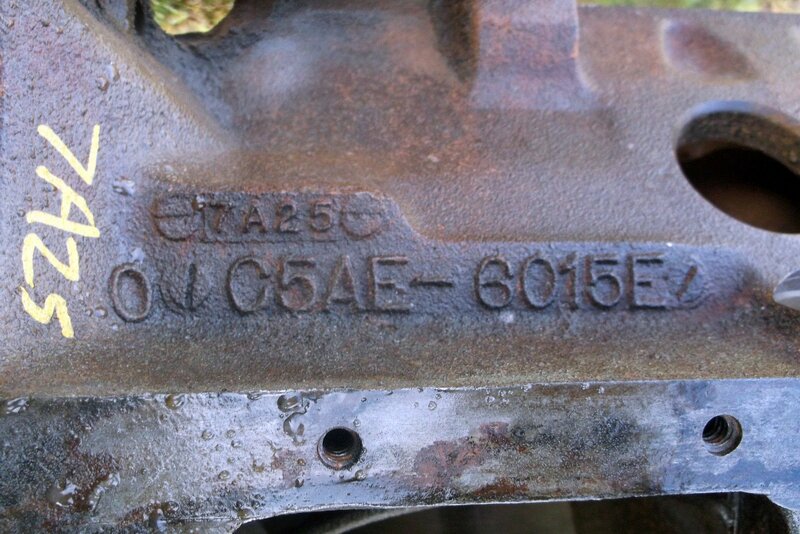 The biggest bummer of running a GT350 manifold on a 2011-14 engine? You lose the ability to control the charge motion plates and an adaptor is required to bolt on a 2011-14 throttle body. If you want to read the complete story on the Coyote engine build, you can go here. 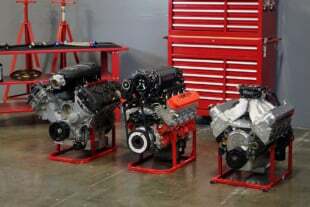 The quick hits: 11:1 short-block with a slight overbore, Comp Cams CR-Series Stage III camshafts, upgraded Comp valve springs, MSD coils, and Triangle Speed billet gears. Once you change the pistons, rods, and camshafts, a F150 engine is essentially a Mustang GT 5.0. One of our biggest questions on this build was in regards to the short-block rebuild and the billet gears. We were working with an F150 that was in an unknown condition. You can give up as much power as any modification can make by having bad ring seal, plus the F150 Coyote uses a lower quality 10.5:1 piston. As far as the billet gears go, we knew we were going to be turning a lot of RPM with Cobra Jet manifold and this is another pace they fail. Yes, the most common failure is on supercharged applications, but there are many other situations, most commonly found by the rapid inertia and acceleration change that you’d commonly find when launching a car at the dragstrip. We started our tests with the Factory GT manifold to develop our power baseline. We were actually very surprised how well the manifold works down low. Producing 364.7 lb-ft of torque at 3,900 rpm, it peaks at 5,400 rpm with 429.2 lb-ft. Peak horsepower is achieved at 6,700 rpm with 491.1. 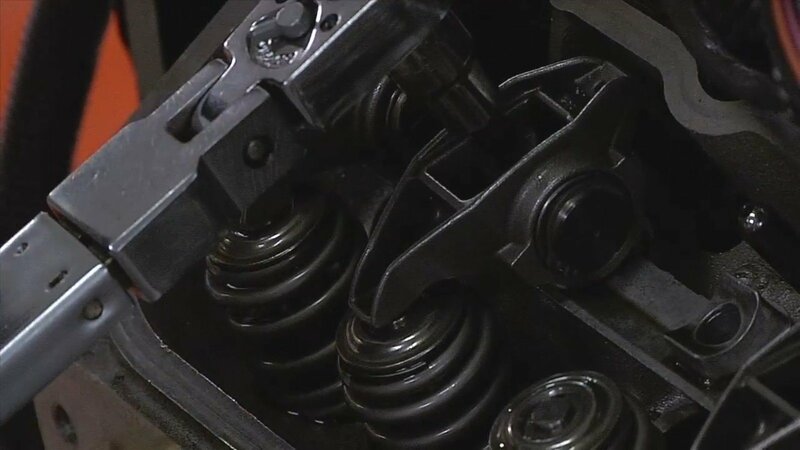 The stock manifold can be revved to 7,500 rpm with the CR-Series camshafts and doesn’t fall off too much. It’s hard to argue the strong torque curve of the factory GT intake manifold. It was designed to help make up for the lack of cubic inches from the 5.0. Simply put, the GT manifold absolutely murders the BOSS manifold all the way up to 6,600 rpm. 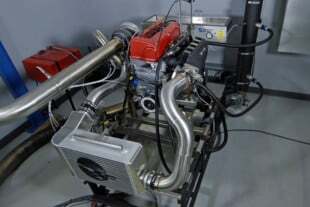 By 6,700 rpm when the GT peaks at 491.1 horsepower, the BOSS is gaining by 2.7 hp and ends up peaking with 510.4 horsepower at 7,600 rpm, though pulls cleanly to 8,000 rpm. Comparing torque at 4,200 rpm the BOSS is down a whopping 46.9 lb-ft compared to the GT. By torque peak at 5,400 rpm the BOSS 302 is making 398.4 lb-ft, 30.8 down from the GT. If you compare average power and torque across the dyno run, the BOSS 302 is the worst performing manifold out of the four. The BOSS versus GT manifold is really a matter of preference. Where’s the engine going to be spending most of its life? That’s the key question one needs to ask before swapping from the stock manifold. Until around 5,900 rpm the power differences between the BOSS 302 and Cobra Jet manifolds are negligible. The Cobra Jet averages about 10.8 horsepower and 11.6 lb-ft more than the BOSS 302 from 4,200-5,900 rpm, then the CJ beings to take off. By 6,500 rpm the CJ is 14.7 horsepower and 15.3 lb-ft up. The Cobra Jet manifold peaks at 7,600 rpm while making 531.2 hp, 20.8 horsepower ahead of the BOSS 302. We were all but certain that the Cobra Jet was going to come in at the top horsepower winner. Unless you’re on a budget, the Cobra Jet manifold is far superior to the BOSS 302 in every way … well, except drivability. While the Cobra Jet isn’t known for idling well, it can be figured out by an experienced Coyote tuner. The GT350 was the wild card in this test. We’ve had plenty of experience with the other manifolds to know about where they were going to end up. But where would the GT350 fit into the equation? The BOSS 302 versus GT350 graph is the most interesting to look at as it seems like these manifolds are going blow for blow to create more power. In the end, the GT350 edges out the BOSS by 5.4 horsepower and 3.2 lb-ft of torque, though the GT350 makes it 700 rpm higher than the rest of the intakes at 6,100 rpm. This manifold comes in second place in the horsepower but third in torque. With working motion control valves, it would probably be a lot closer to the GT manifold. We compared the GT350 to the GT manifold here. The GT350 manifold struggles pretty hard at lower RPMs without the ability to control the charge motion control valves – though it does edge out the BOSS 302 intake manifold above 6,700 rpm. The GT350 manifold might be the best upgrade for the 2015+ Mustang GTs but not for the 2011-14 5.0. We would consider these manifolds to be nearly identical with a slight edge to the GT350. We wish we could have seen what the operational Charge Motion Control Valves would have played into the mix. All four of these manifolds serve their purpose in the performance community. The GT manifold is probably best suited for road race and autocross cars looking for the power coming off the corners. If all-out high horsepower for drag racing is your thing, then stick with the Cobra Jet manifold. The BOSS 302 is a cost effective upgrade as a mid-level upgrade for the 2011-14 GTs and the GT350 respectively for the 2015+ GTs. Ryne Cunningham of Cunningham Motorsports handled the tuning through an SCT X4 device, which was loaded to a Ford Performance controls pack. All pulls were made on California’s horrible 91 octane pump gas. In regards to the tune, Cunningham noted, “The stock manifold required less overall camshaft advance and much less though the mid-range (due to knock) compared to the BOSS 302 intake.